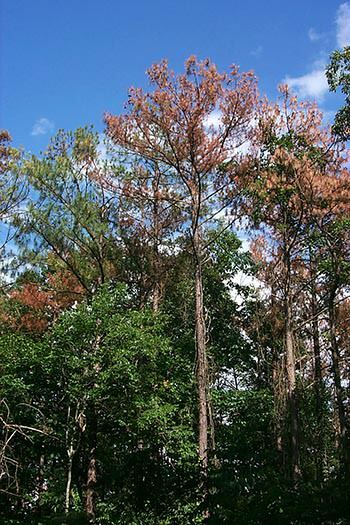 The southern pine beetle and other bark beetles attacking conifers in southern forests are the most destructive insect pests in our region. When their populations are low, bark beetles are natural agents of tree mortality, especially of lightning struck or weakened trees. During outbreaks, however, bark beetles cause great economic damage and threaten the function and sustainability of forest ecosystems. SRS 4552 has been a leader in research on these insects for decades and continues to focus on understanding their biology and developing control strategies for them. 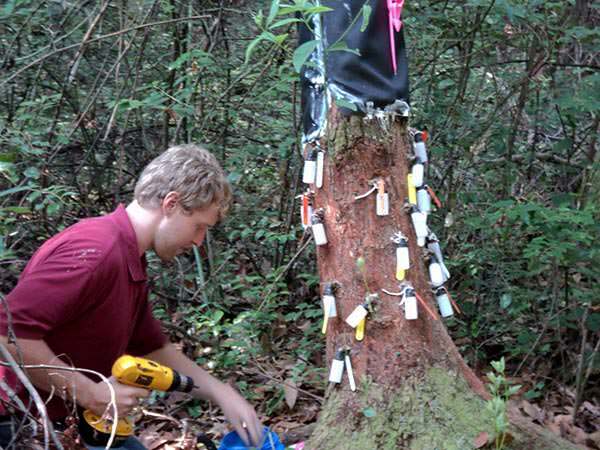 Several of the most serious pest problems addressed by our scientists in recent years (see scientists and publications) were either absent from, or only emerging in, the Southern Region a decade ago (for example, laurel wilt disease and redbay ambrosia beetle, thousand cankers disease and walnut twig beetle, emerald ash borer, and hemlock woolly adelgid). Due to their expertise and experience, our scientists have also been called upon to contribute to research on the detection, management and understanding the biology of new or recent pest outbreak problems in other regions or countries, such as gold spotted oak borer and other exotic wood borers, Erythrina gall wasp, Sirex woodwasp, “Mesoamerican” pine beetle, and mountain pine beetle. Given international and interstate movement of pests through infested host material, coupled with changing land use patterns and climate, we anticipate a need to stay responsive to new forest pests and pest complexes. We seek to balance this with continuing research on existing, high-impact problems, many of which are still poorly understood and managed, and are of importance to stakeholders. These insects and diseases impact seed orchards, nurseries, and forest productivity. Although pests receive the most attention, insects and fungi are integral parts of healthy forest ecosystems. For example, insects pollinate 85% or more of the forest plant species. 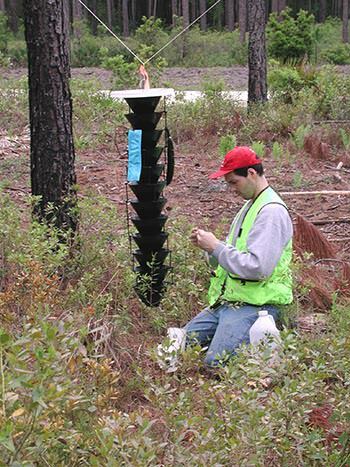 Evidence produced by our unit suggests that insect pollinators have declined in southern forests as a result of changes in forest management, fire exclusion and invasive plants. These declines coincide with a growing awareness of declining pollinators worldwide and their decline represents a serious forest health threat.